October New Release Blog Hop: WIN ALL THREE NEW SETS! October Release Sneak Peek Day 3: WIN the Waddle Pals Set! Today is our last day of sneaks before tomorrow's BLOG HOP! It means you can win today AND tomorrow! We will be doing a huge giveaway tomorrow, so don't forget to come back! 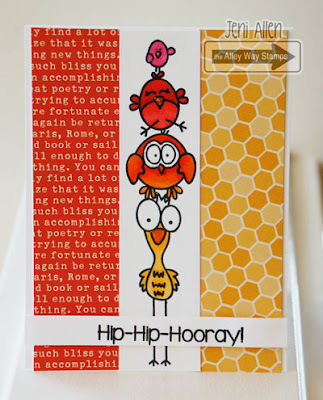 Click on the Rafflecopter widget below to enter to win this set - Waddle Pals !!! ! You have until 7 pm TAWS time tonight to get your entries in! For our friends that do not have Social Media accounts, you can also just comment below. We will randomly pick commenters for our giveaways, too! This contest will run TODAY only (9/29/15), but we will have another HUGE giveaway tomorrow! Hi! It's Yuki here sharing a cute Christmas card featuring the new "Waddle Pals" set. These penguins are just adorable and I love how the set comes with two different sizes of penguins! Hello!! Dana here with my little sneak of Waddle Pals!! Such a fabulous set if you love penguins!! Hi everyone! 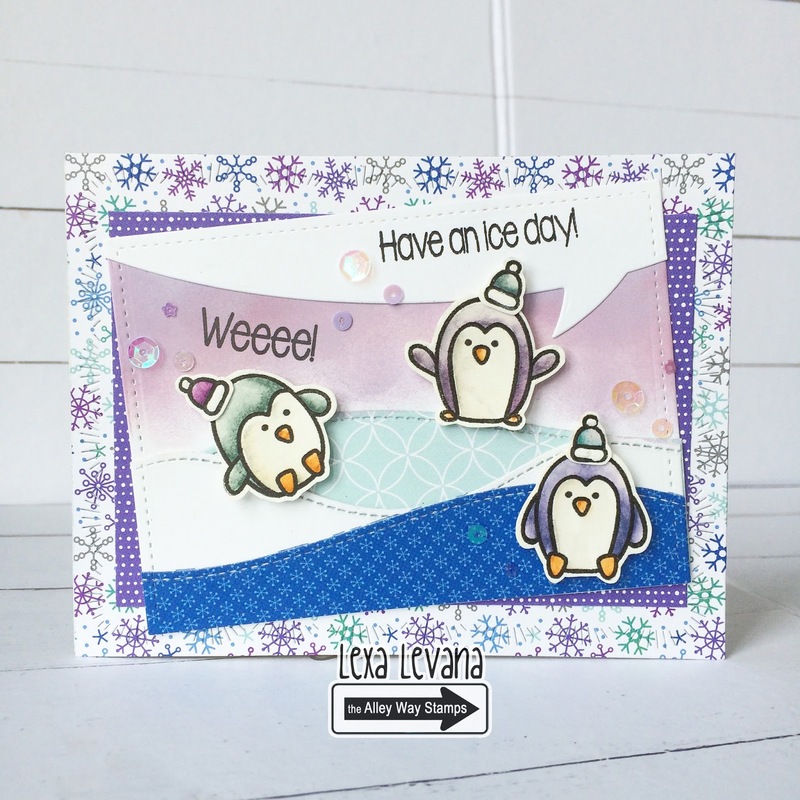 Lexa here with a winter card featuring Waddle Pals set which is sooo adorable with all the penguins. You will LOVE it. Have an ice day! 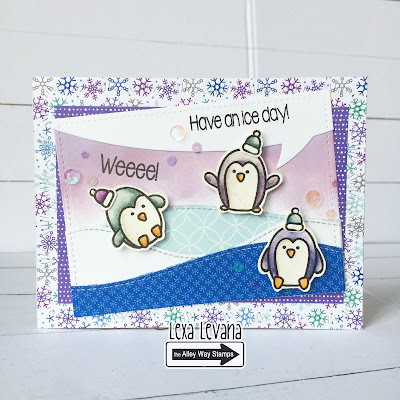 Hello, Emily here with a sneak peek card using the new set Waddle Pals. 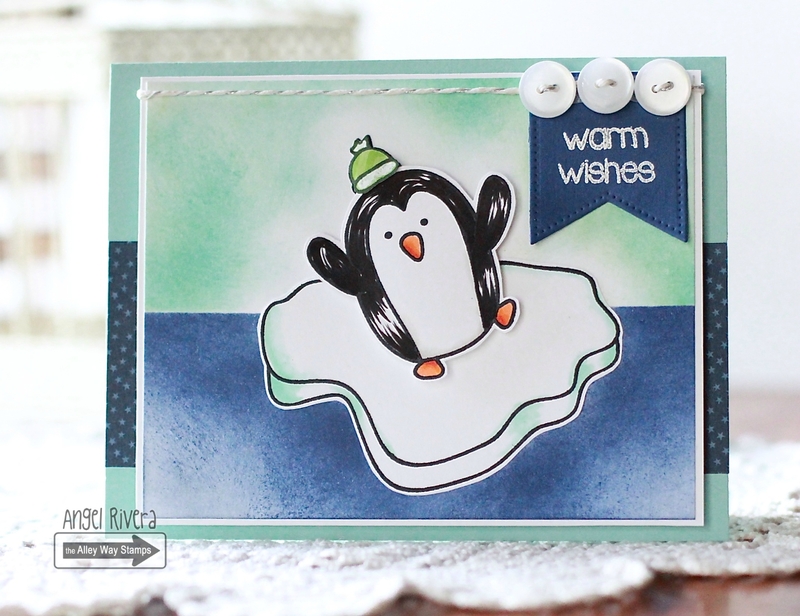 This set comes with different sizes of penguins, a must have to create an adorable winter scene cards. October Release Sneak Peek Day 2: WIN the Mistletoe Kisses Set! 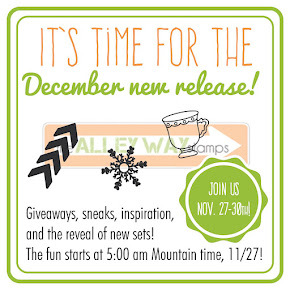 It's time to sneak another set and giveaway more stamps! 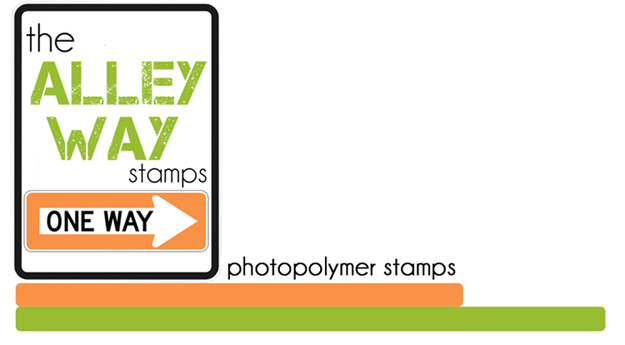 And that means you can win today's featured stamp set! We will be doing giveaways and revealing the sets over the next few days, so remember to pop back in! Click on the Rafflecopter widget below to enter to win this set - Mistletoe Kisses!!! ! You have until 7 pm TAWS time tonight to get your entries in! For our friends that do not have Social Media accounts, you can also just comment below. We will randomly pick commenters for our giveaways, too! This contest will run TODAY only (9/28/15), but we will have another giveaway tomorrow! 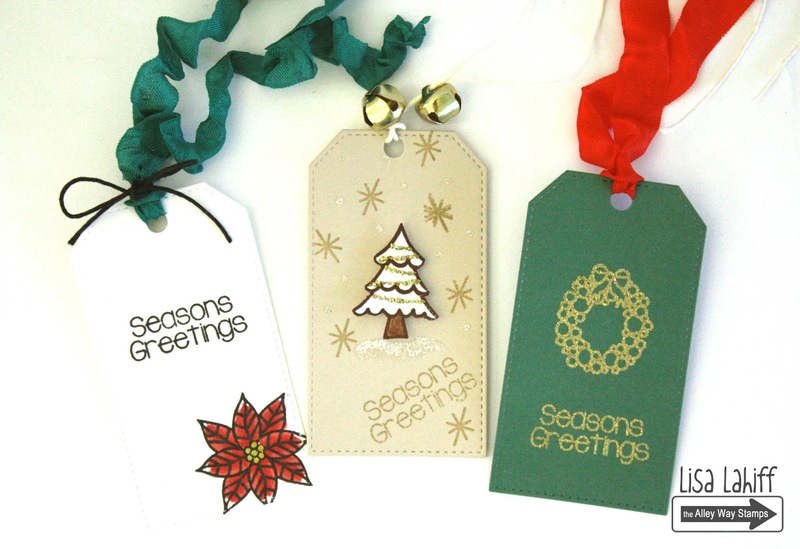 Seasons Greetings!!! Jeni here with a little peek for you!! I've got a little number to share from Mistletoe Kisses! 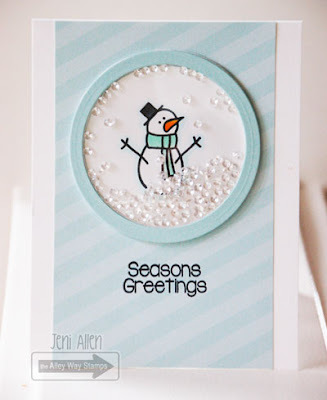 It's a super fun one...I just love this little snowman! I think a little "snow globe" is perfect for him, don't you think!? Hi !! Archana here!! 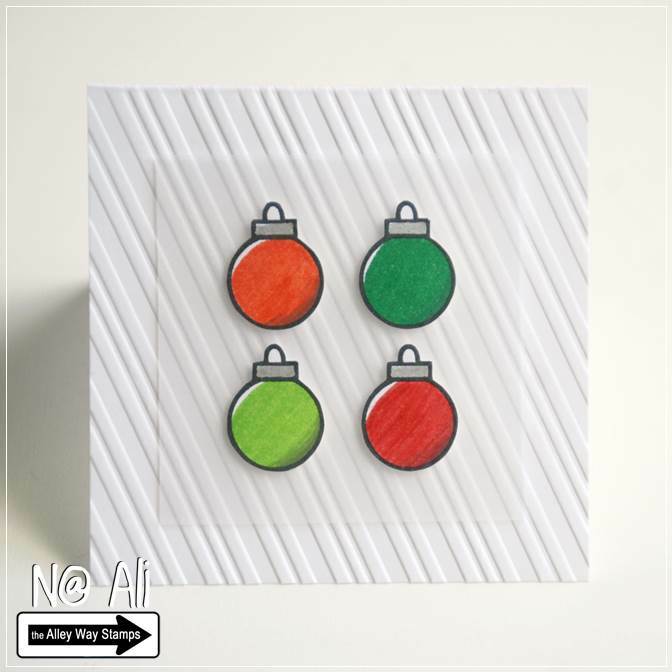 I have got today very cute christmas shaker card using The Mistletoe Kisses stamp set. This set has many cute little images for christmas cards. I loved this cute snowman from the set. 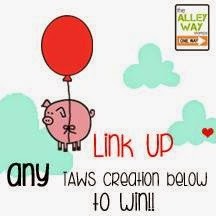 Please email Alison@thealleywaystamps.com by October 8, 2015 to claim your prize! :) Congrats! October Release Sneak Peek Day 1: WIN the Sweet Thing Set! It's that time again! The OctoberRelease is almost here!!! Click on the Rafflecopter widget below to enter to win this set - Sweet Thing!!! ! You have until 7 pm TAWS time tonight to get your entries in! For our friends that do not have Social Media accounts, you can also just comment below. We will randomly pick commenters for our giveaways, too! This contest will run TODAY only (9/27/15), but we will have another giveaway tomorrow! Hey there! Chrissie here! I love the Sweet Thing set! There are so many creative possibilities with these amazing sentiments. Hi Alley Way friends!! 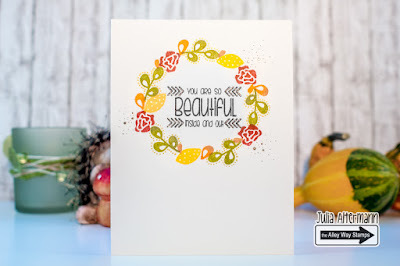 Meredith here with a super bright yet simple card using one of the upcoming sets called Sweet Thing! 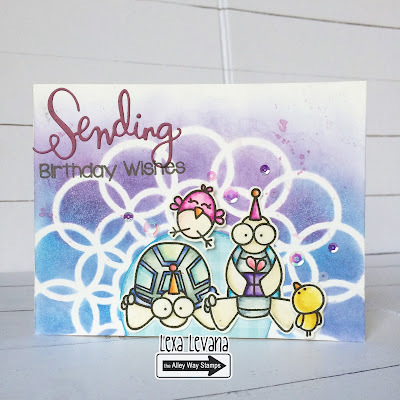 If you love big sentiments and/or techniques then you'll LOVE this for sure!! For this sample, I've used my Kurtake Watercolor set and some Heidi Swapp paint sprays - this time in gold. I allowed my background to blend and dry. 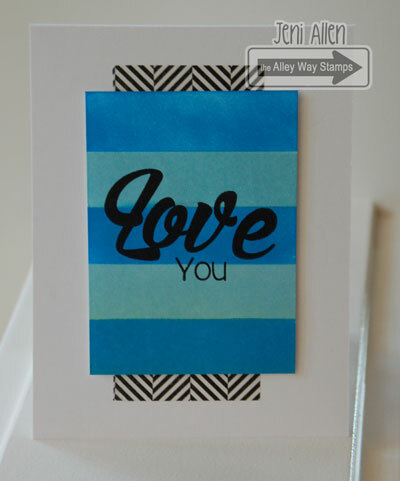 I then used my MISTI tool to ensure I got complete coverage on my large sentiment using Hero Arts black dye ink. I splatter painted the dots using the straw end of my paint mister and added some orange, faceted dots for some texture. Hey everyone it's Holly here and how cute is this new set Sweet Thing? I love the bold font and all the different ways this set can be used. I paired it with the ice pop image from Slurp. Hi crafty friends! It's Julia W, back with another spooky how-to video to share. 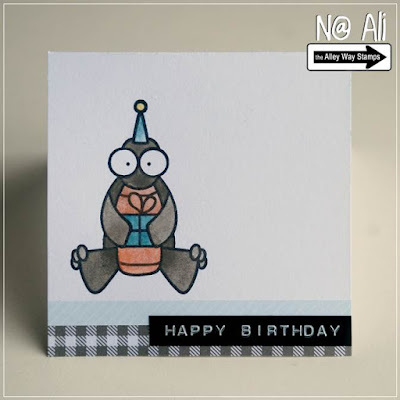 For my card, I used the Gould-Friend stamp set and SVG cut files. You can watch the video below, or on the TAWS YouTube channel. Hey there peeps!! Jeni here again! :) I told you I've fallen for the Big Time set! 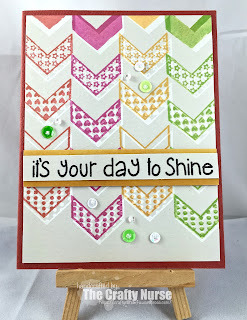 I used some distress inks and a fun stencil for the backgrounds...and then stamped the delicious sentiments from Big Time!! Hello, Emily here with a card make with It's my Party! This little guy is is super adorable. I colored him with Copics and adhered on foam tape over a watercolored background. Hi everyone it's Holly here with a fun card using the sets Party Pooper (this Month's Free set) & Big Time. 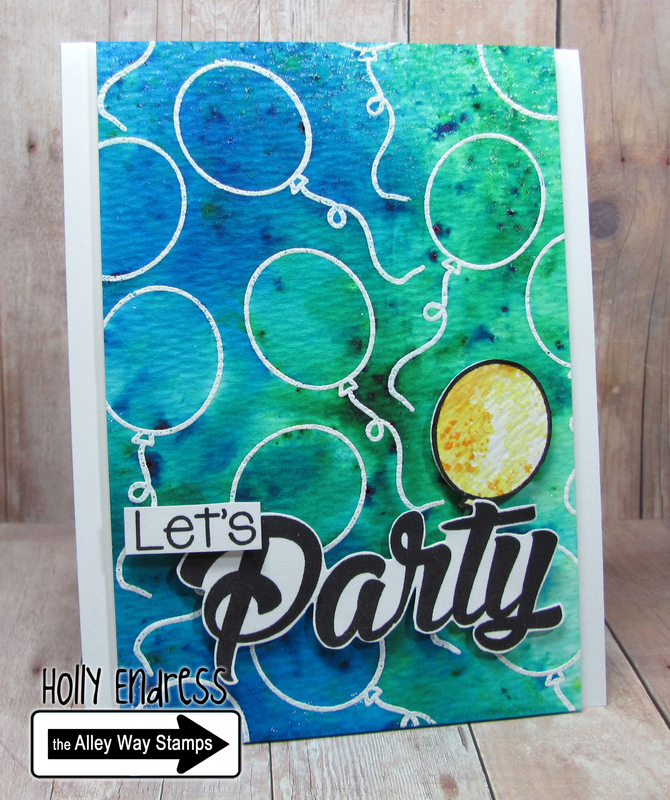 I created a fun background with some embossing and Ken Oliver Color Burst Powders. 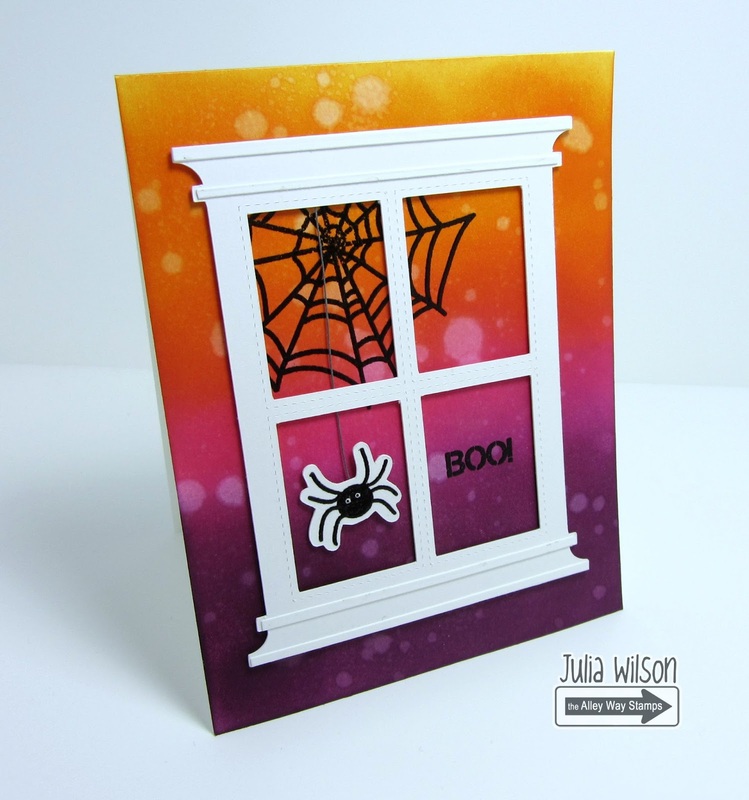 Hi crafters, Julia A. here for you with a quick and easy autumn card! In case you haven't noticed, the "Say It Don't Spray It" set is one of my favorites when it comes to sentiments, but have you noticed that there are some tiny and pretty floral images at the very bottom of it? Well, guess what? With the right color combination (and Pinterest can be a great help here) you turn these leaves into an autumn, winter, spring, or summer wreath! 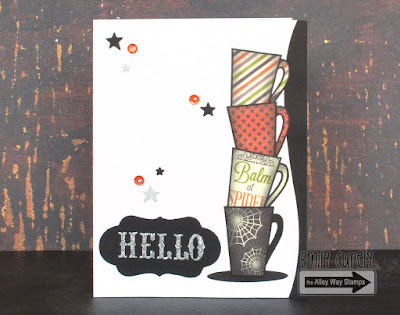 To celebrate fall, here's the card that I made – check out the video below! Hi Friends! Meredith here with a busy card made using the newly (and CRAZY adorable) set called Flap Happy. This set has THE cutest and most diverse selection of birds I've ever seen. I had a great time coloring these cuties using my Prismacolor pencils. I then masked off the birds and sponged Peacock Feathers and Frayed Burlap Distress Inks for the background. Once I was done, I added some Heidi Swapp spray color in white using the straw of my sprayer to achieve the look of splatter paint. I then used Pebbles Inc 6x6 paper pack called Yours Truly for the background panels. My panels are stitched with red thread to make them pop and I've added a few different Die-namics brand dies (MFT) to embellish the background. I also added some sparkly silver glitter flat back dots all around in groups. The clouds are cut using an MFT die but you'll notice that I also cut the same clouds out of white craft foam (available anywhere you can buy kids crafts). I purposefully let them be a bit off set and stitched them down the center for some added depth. Hi, everyone! 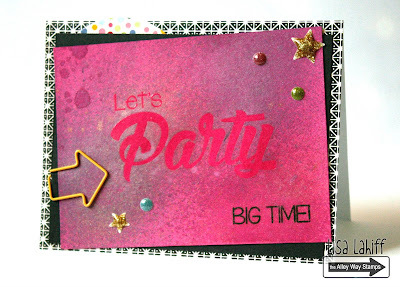 Heather P. here with my card for this week, and I just can't get enough of the new Big Time set... So gorgeous! To create my card, I started by stamping one of the flower images from Pick One in a light gray ink onto a white card base. I then cut some yellow CS strips and adhered them to the card front. Next, I stamped one of the sentiments from Big Time in teal ink, then fussy cut it out. Some berry leaf images were stamped from Pick One in black ink onto white CS before fussy cutting them. To finish up, I adhered the sentiment and leaves to the card front with pop dots, then embellished with red enamel dots. Hi it's N@ Ali. 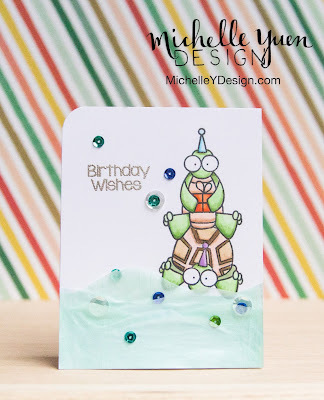 Here's a little card from me today, I water-colored one of the cute turtles from It's My Party. Hi it's N@ Ali. Today I used BIG Time and Gabfest for this quick card. The bold font is perfect for many techniques, here I used the kissing technique with the background Line upon line to create some texture on the word. Hi everyone, Tanja here. This is my last card for the TAWS design team. I used Tickle Me Happy and Flap Happy. So I say goodbye, hug you all and thank you for such a wonderful time together. Take care of yourself! Hello! 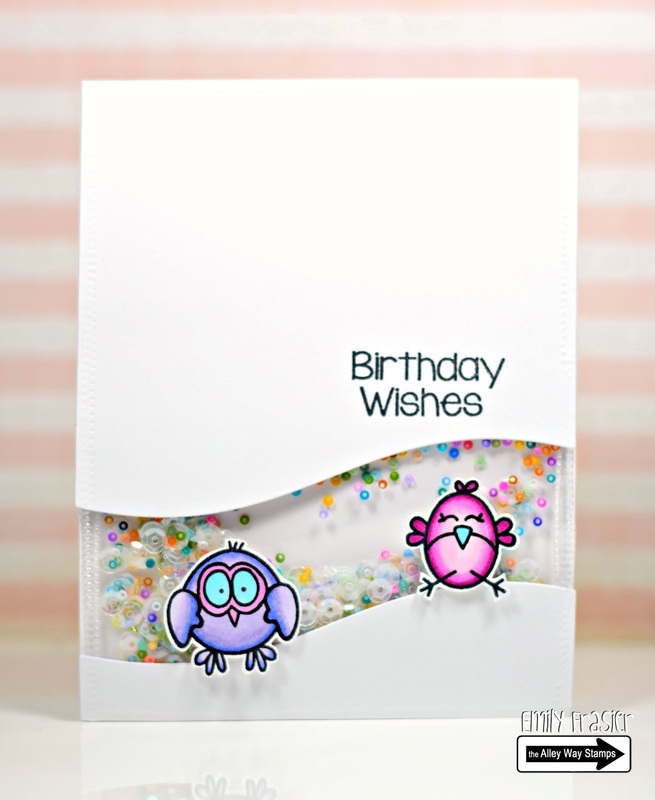 Dana here with a little card featuring one of the super cute birdies from Flap Happy!! I found some pretty black and purple card stock from a Halloween pad that i just had to use!! I used the hello speech bubble form Spell Check. Hi all! 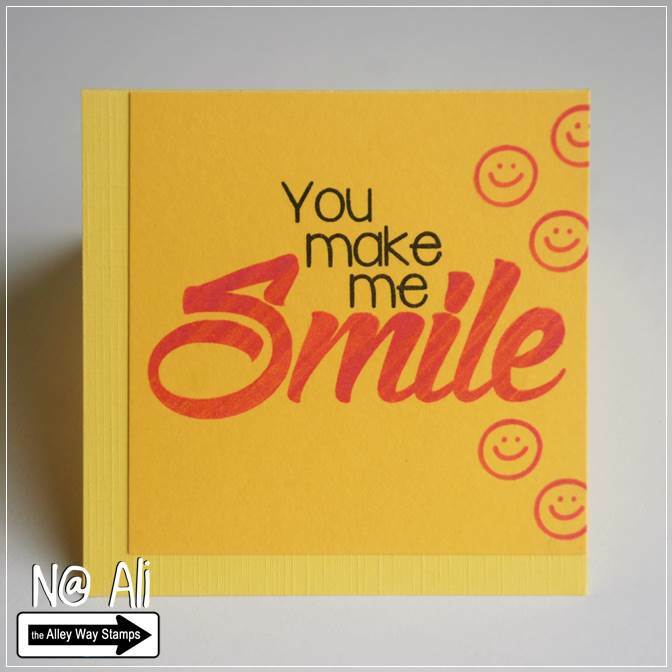 Angel here with a card using Flap Happy, Big Time and Express Yourself. I loosely embossed 'Party' then partially cut out it across the top. Love this little bird! Hey there!! Jeni here! Have you fallen in love with the Big Time set yet!!? Oh, heavens, isn't it wonderful!? 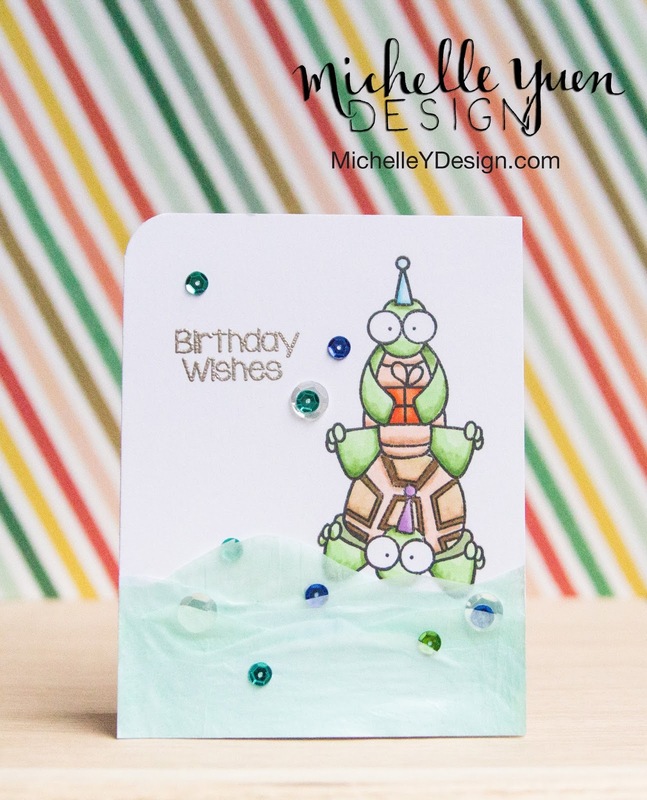 It sure packs a punch and will perfect for just about any type of card!! Hi there! It's Yuki here today sharing a simple and elegant wedding card I made using the "Branching Out" set. I die cut a piece of vellum using a stitched rectangle die and heat embossed the stamped images using Ranger "Liquid Platinum" embossing powder. I then heat embossed a small piece of white cardstock using the same embossing powder by smooshing my Versamark ink pad directly onto the paper. To give the embossing more dimension, I heat embossed the piece of cardstock twice. I die cut the embossed piece of cardstock with a scripty "congrats" die. I then matted the vellum panel onto a piece of silver metallic cardstock that was die cut using an A2-sized stitched rectangle die. And to finish the card, I added different sizes of sparkling clear sequins. I absolutely love the way the sentiment shines in real life and the simple, yet elegant design of this card. 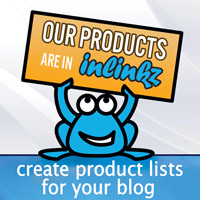 I hope you were inspired as well and be sure to swing by my blog for a full list of supplies. Have a wonderful day! Hi !! Archana here. 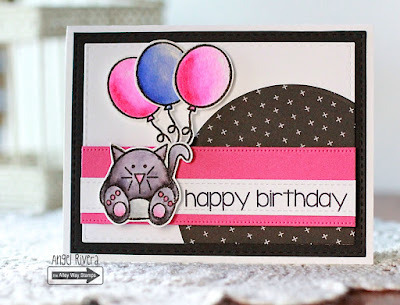 Today I am sharing very simple and cute birthday card using "It´s my party" stamp set. I love this cute little turtle and I´m using it again and again. I heat embossed the image and then colored it with distress inks. For the background this time, I used some scrap papers.Added mist , sequins and small twine bow. 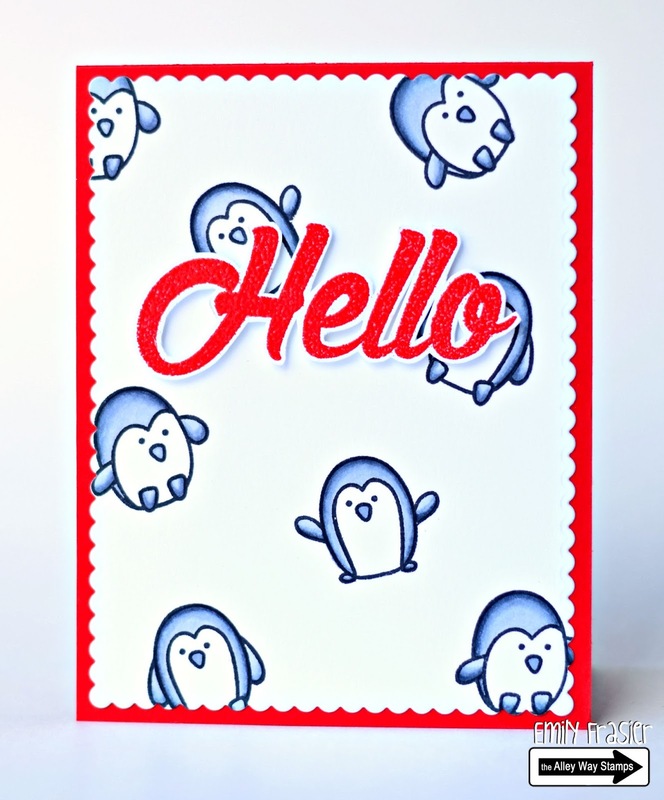 Hi everyone it's Holly here with a fun card using the new sets Big Time and Flap Happy. I also paired them up with a few older sets as well... Tootharina & Yappy! This is a fun bright card and you could easily change up the sentiments with the same layout! Hi guys, this is Emily Cupely! In today's video I'll show you how I did some paper piecing to a mug from the Breakfast Club stamp set, using Halloween as the main theme. I hope you enjoy the tutorial! Hello. Lexa here with a lovely birds from Flap Happy and BIG Time. 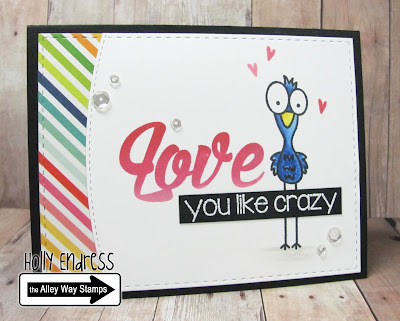 Don't you love the soft colors and those "Love" font just makes me swoon..
Hello, Dana here with a card featuring the new Big Time stamp set. I found some cool pattern paper and decided to make an elegant card with this set!! Hi all! Angel here with a card using the FREE when you spend $40 set, Party Pooper, along with a sentiment from an older set called Yappy. Today, I made an ocean scene with tissue paper, simply cutting them into general wave shapes and then layering them on top of each other, adhering and sealing it with Mod Podge. Nothing too complicated! 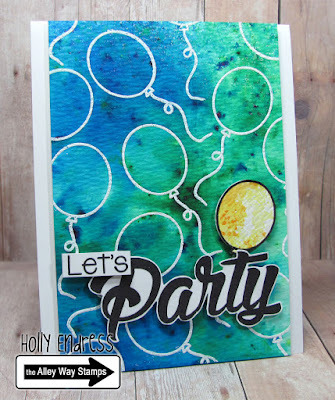 For my stamped images, I used the "It's My Party!" 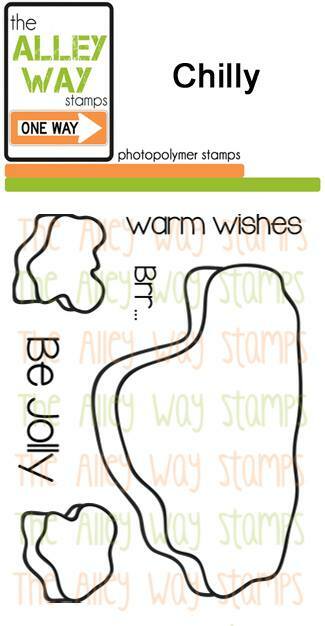 stamp set from The Alley Way Stamps. I colored them in with Copic markers. Hi Friends!! Meredith here with a creation using a combination of a few different (and favorite) Alley Way sets. I've used Tri-Me and Framed for the exterior and Big Chatter for the interior. I've created this card for friends who are celebrating their 55th wedding anniversary! 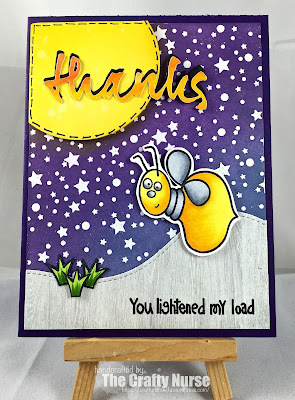 I started by creating the background using different shades of blue Hero Arts dye ink. I then used Delicata gold ink and the triangle outline stamp that comes with the set to add some sparkle and really make the blue tones pop a bit. I started by stamping the Polaroid frame with Colorbox pigment ink in Harbor onto Canson brand vellum and heat setting this with clear embossing powder. I then stamped my camera image and did some quick coloring with my Copic markers. I added a stamped heart, also in the Framed set, in red to the lower right corner. I slipped a bit during this process but did not want to scrap the entire piece so, using a Micron pen, I loosely drew a heart around the area and made it look more intentional than I meant it to. I added some red stitching and some die cut tiny hearts to add more texture and shine. It's been a long time since I've taken the time to create a bit of fun for the interior of a card but this was a very special occasion so I deemed it worthy! I used my Hero Arts Tide Pool to stamp the Congrats and while it was still a little damp I sprinkled gold embossing powder just on the top of the sentiment. I then added the words "heart felt" from the same set. I stamped this using Delicata gold ink. I added some red stitching to the interior to match what I'd done on the outside. Hi and happy monday, Tanja here! I have a birthday card for you. Created with this month's mini Party Pooper. Hey Everyone! It's Marina here! I hope you're not tired of my rainbow cards yet because here's another one. I started out by making those background banners (from the Cake Day set). I love the look of no-line colouring, that makes it look quite "real". I used copic markers and I like to stamp using the Distress Ink Antique Linen. The adorable bear is from the Party Pooper set. But that's about it. 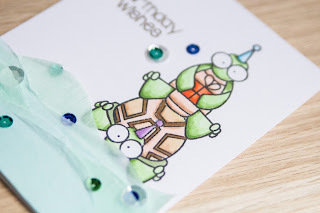 I love keeping my stickles around because you can just add it to your card and I feel like the sparkles made the card looks alive. More from Our September Guest Designer! We're back with more from KathyYay! 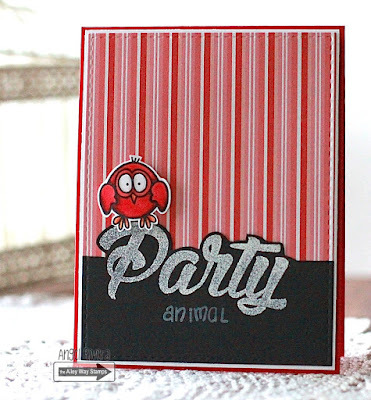 Kathy has created two cards using Kid n' Caboodle and Star of the Show!!! Check out all the dimension and that stunning background!!! Just wow! This one is SO much fun! I love all of the bright and fun colors!!!! Thank so much for joining us this month! You have been amazing! 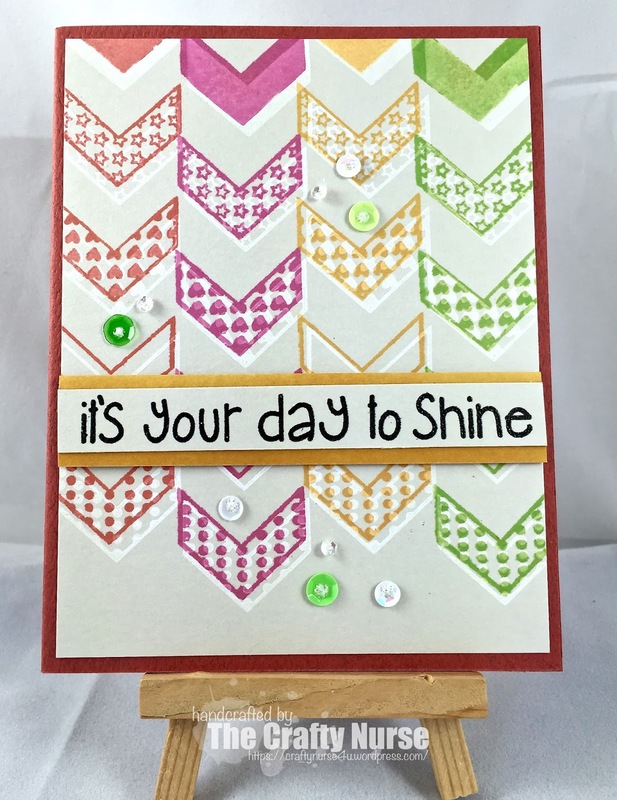 Hi, It's Therese here and my video today is all about stamping a repeated sentiment background, this BIG Time set is perfect for this and I thought it would be sweet to add the butterfly from Priceless Joy. Hi there Ghoul Friends! 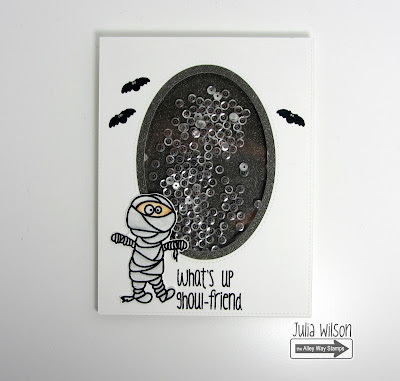 It's Julia W and I'm back to share a floating shaker card I creating using the Ghoul-Friend stamp set. You can watch my how-to video below, or on the TAWS YouTube channel. Enjoy! Hi everyone! 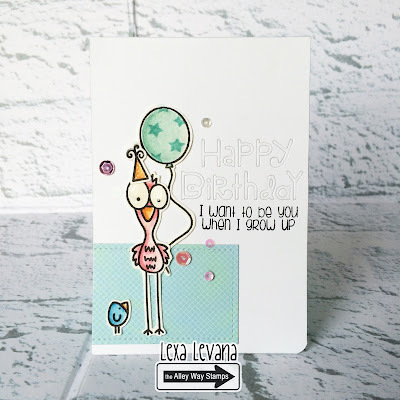 Lexa here to share a birthday card which is perfect for someone older or someone that you adore..maybe your mom? :) The birds and the sentiment are from Flap Happy and the balloon is from It's My Party. 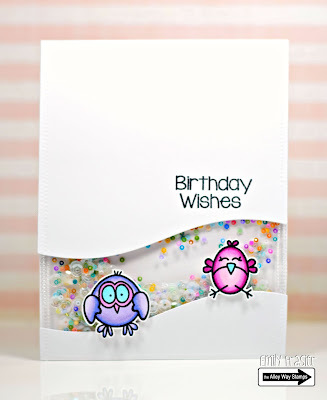 Hello, Emily here sharing a sequin birthday card using Flap Happy, and It's My Party!. The sequins pocket was created with a fuse tool. The cute birds were stamped and colored with Copic markers. Hello friends!! Jeni here. 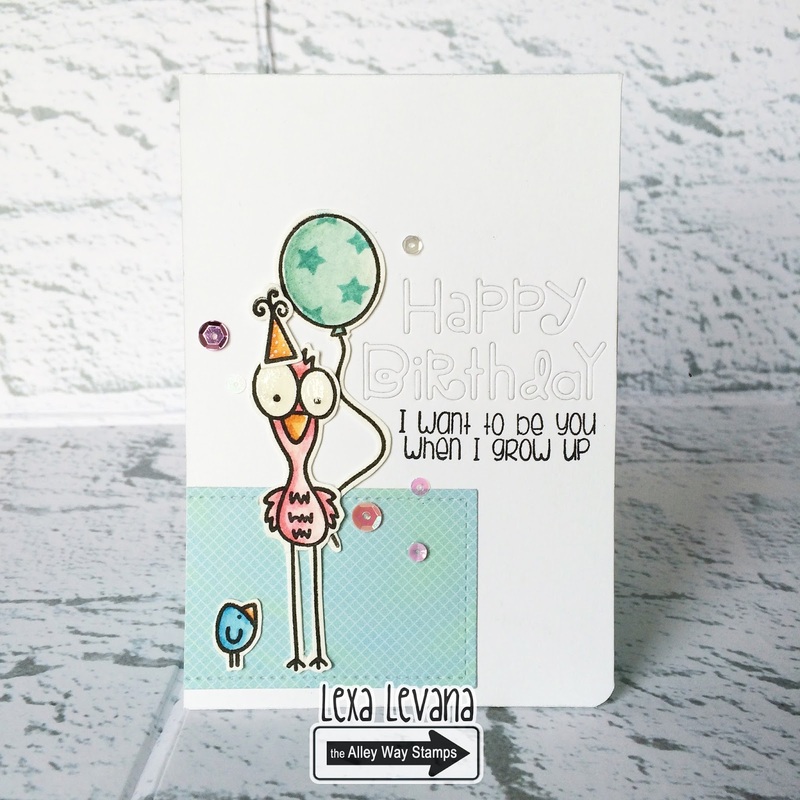 Have you seen the cutness that is the new Flap Happy set!!? Makes my heart glutter. I love, love, love, these cute birdies!! I stacked them all up and had fun coloring them all pretty! 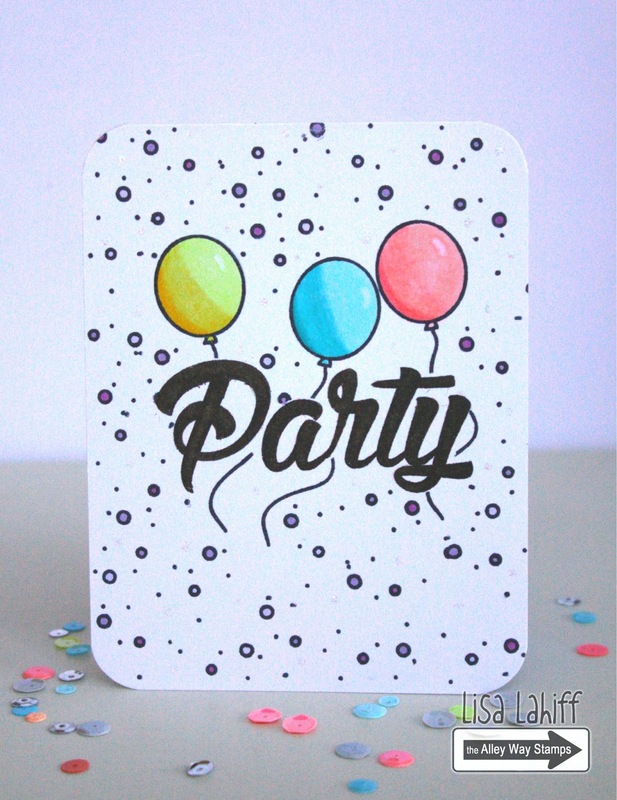 !The sentiment is from the It's My Party set! 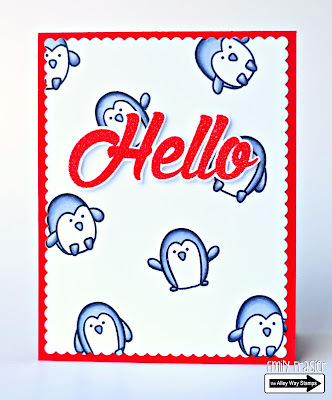 Hi everyone it's Holly here and today I have a fun card using the Flap Happy set and a sentiment from Hard Boiled. I created a fun background with some Distress Inks and then I colored the little birds with Copics. 9.18.15 - Bright and Happy! Video : Altering a Stamped Image!